Every great story needs a villain. In Tchaikovsky's Nutcracker Suite, the Mouse King plays this part perfectly. When the clock strikes midnight things become alive. The Mouse King corners the beloved Nutcracker and battle pursues. Things quickly come to a halt when Clara throws her slipper at the Mouse King, hitting him square in the head. The Mouse King is taken away by his army of mice thus ending the conflict. 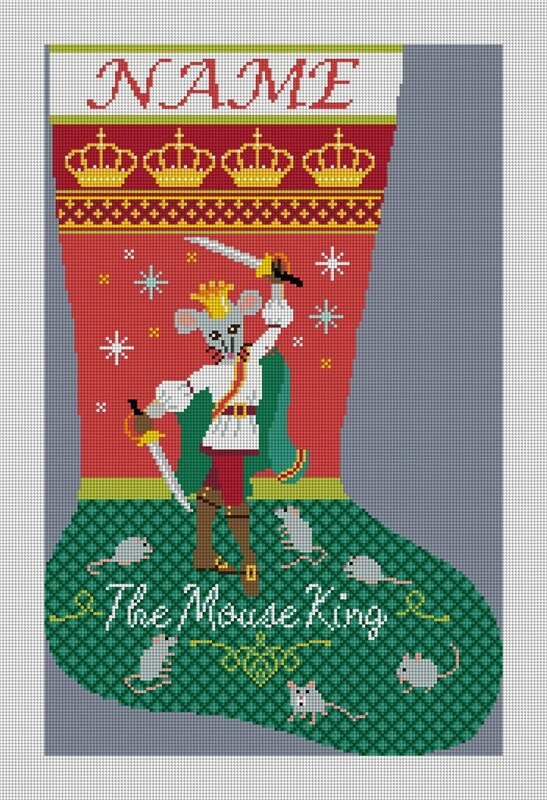 We think our Mouse King Nutcracker needlepoint kit will make your holidays come alive. This stocking would also look great as part of a series of stockings to stitch for your fireplace, with Clara and the Sugar Plum Fairy.